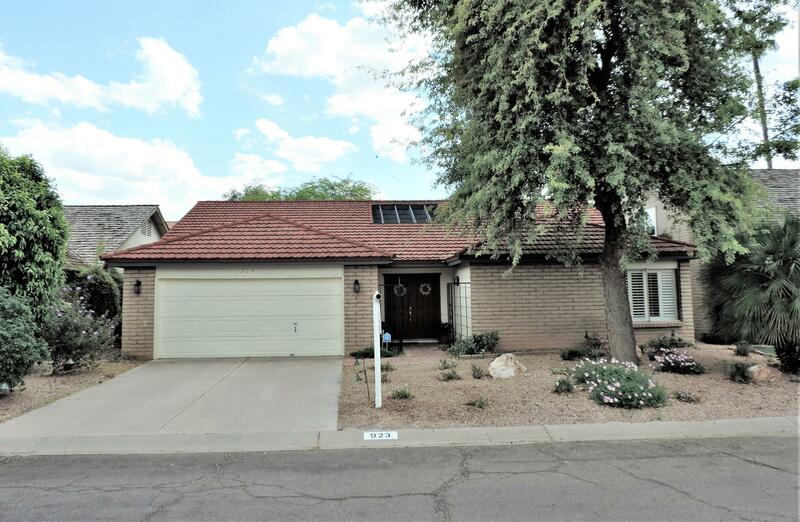 Must see this Inviting Home Located in the Desirable Community of The Lakes in Tempe. Walk In with a view of the Serene Indoor Atrium, Formal Living Area & Formal Dining with Wood Laminate Flooring throughout. Next, view the Updated Kitchen with SS Appliances & Expansive Kitchen Bar with Granite Countertops. View the Open Great Room w/Vaulted Ceilings. Remodeled Baths with Tiled Walk-In Master Shower. Close to the Lake & Clubhouse. Enjoy Amenities Like Heated Pool & Spa, Fitness Center, Rec Room, Tennis/Racquetball & Much More! Don't miss out on this one! !